Vinodeco specializes in original wine packaging and decorations. 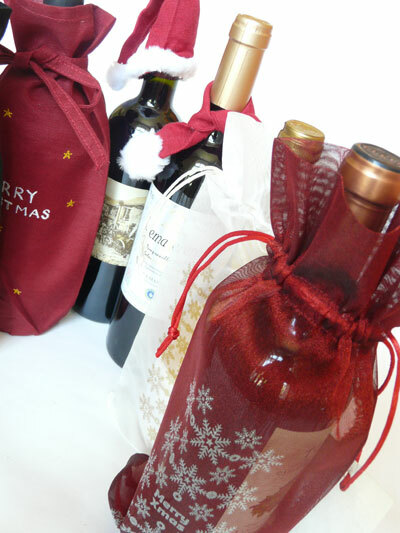 Our products can be used for all occasions to stilishly wrap or decorate wine bottles (or other bottles). We design and develop the products ourselves and the products are mostly handmade from natural materials such as silk and bamboo. Ideal products to use as business promotion, weddings, graduations and fun! Now available: Vinodeco brochure in English, French and German. Vinodeco specializes in original wine packaging and decorations. Our products can be used for all occasions to stilishly clothe or decorate wine bottles (or other bottles). We design and develop the products ourselves and all products are handmade from silk, a natural material. Vinodeco strives to bring unique and innovative packaging for wine bottles using fine materials.